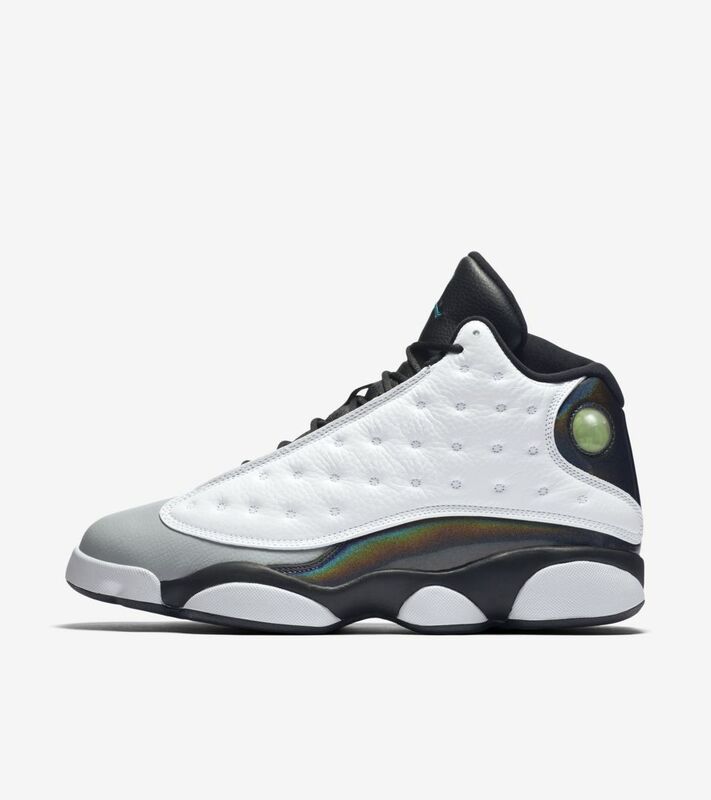 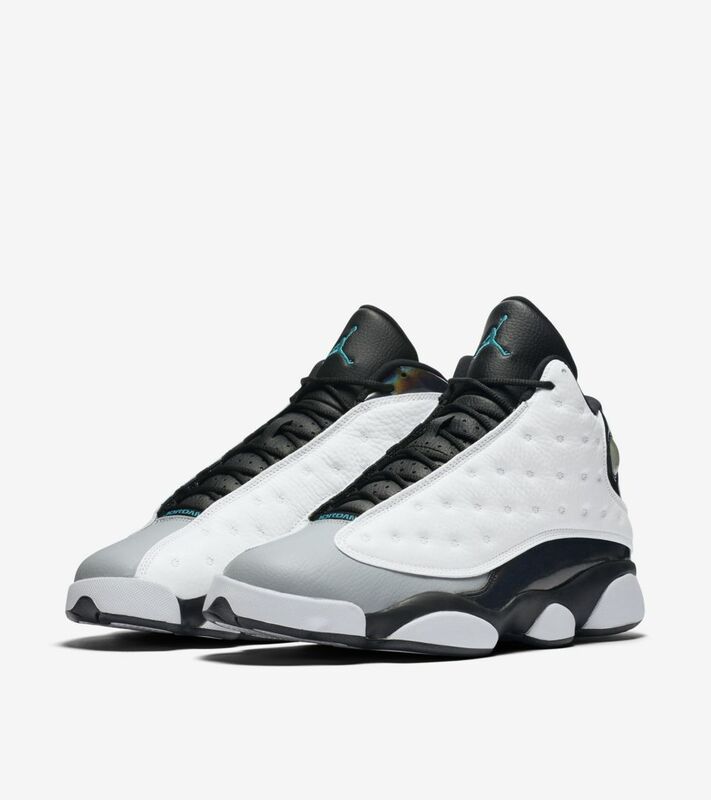 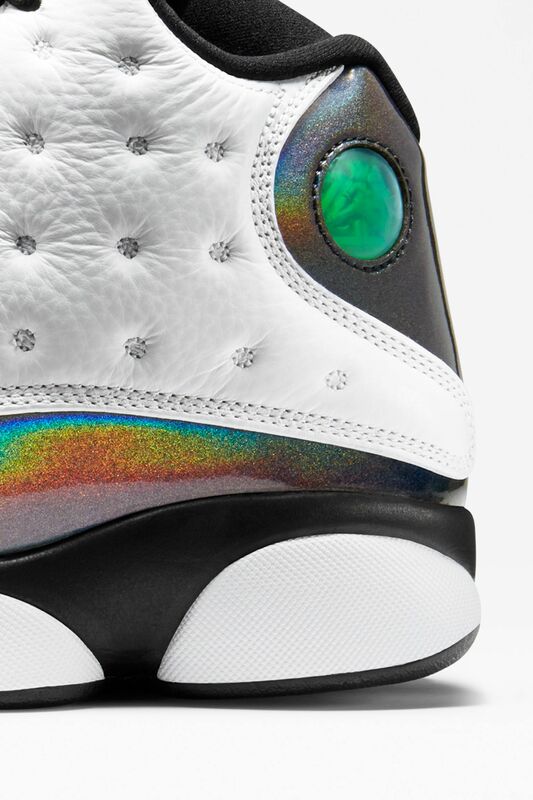 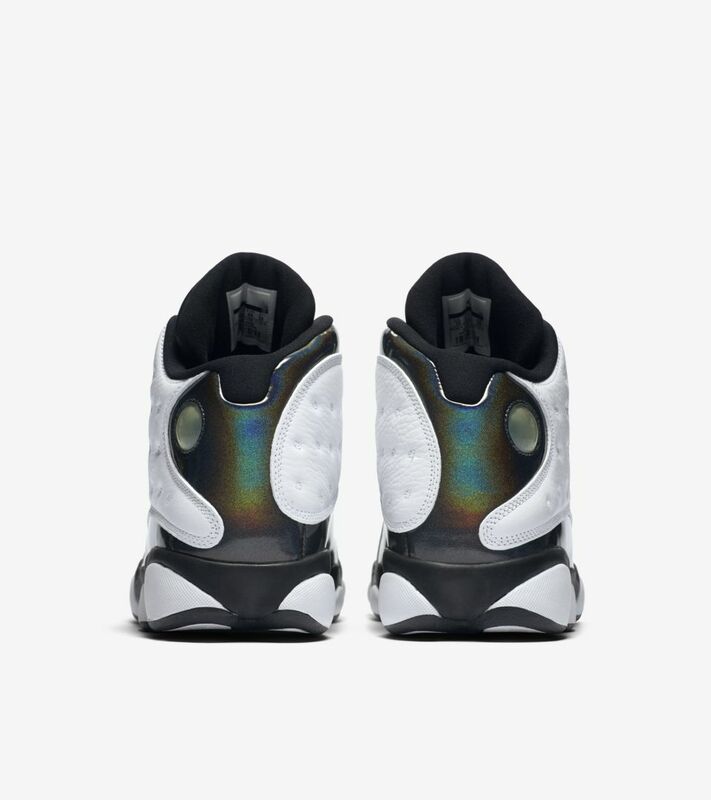 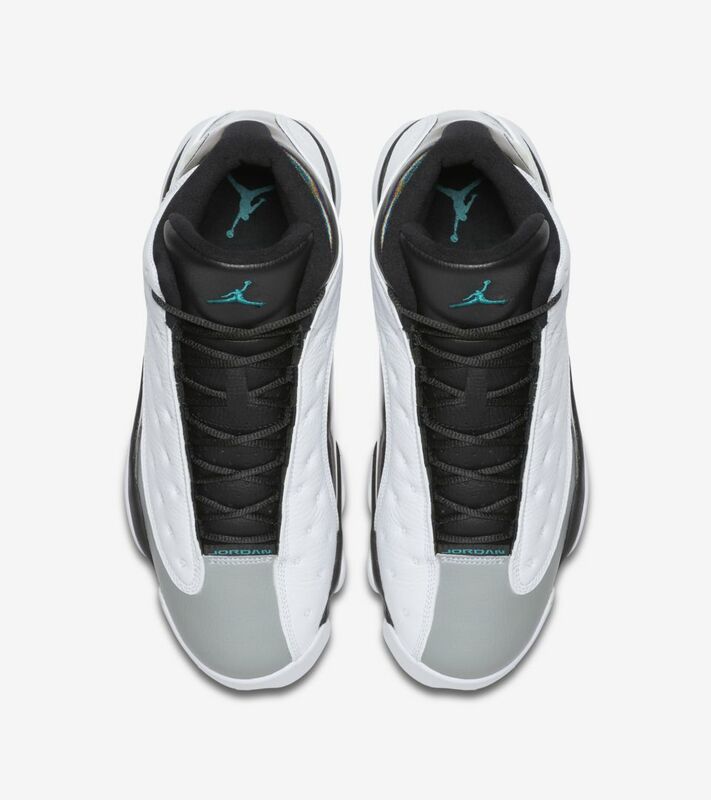 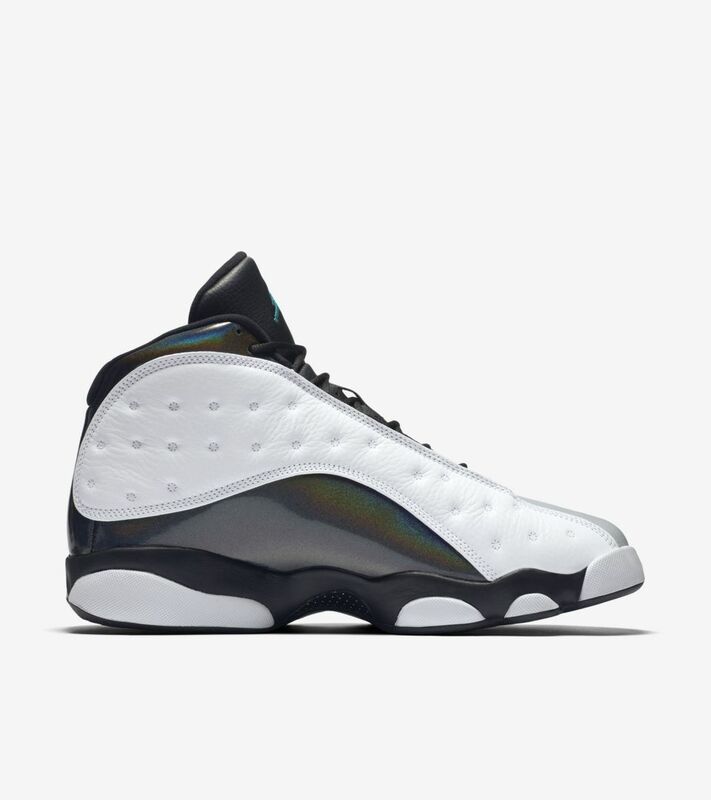 The newest color of the classic Air Jordan XIII features a holographic back heel piece along with the original hologram inspired by the black panther eye. 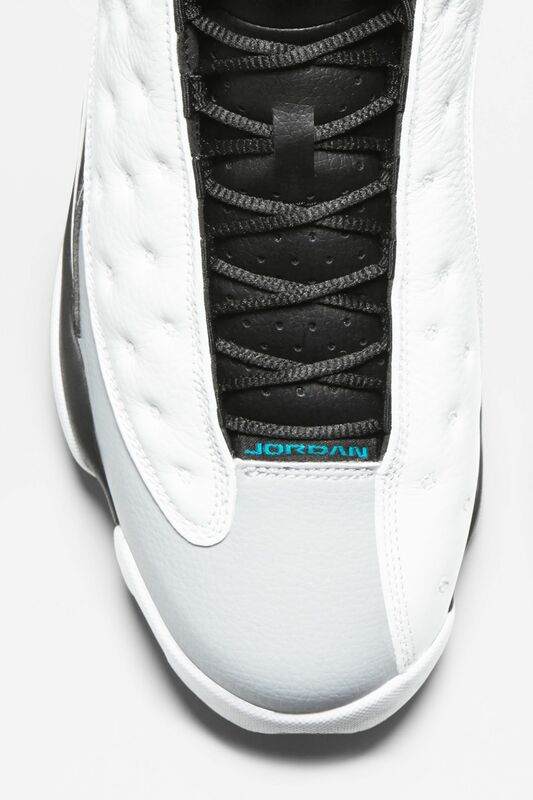 Wolf Grey on the toe accents the white pods on the midsole and white quilted leather upper. 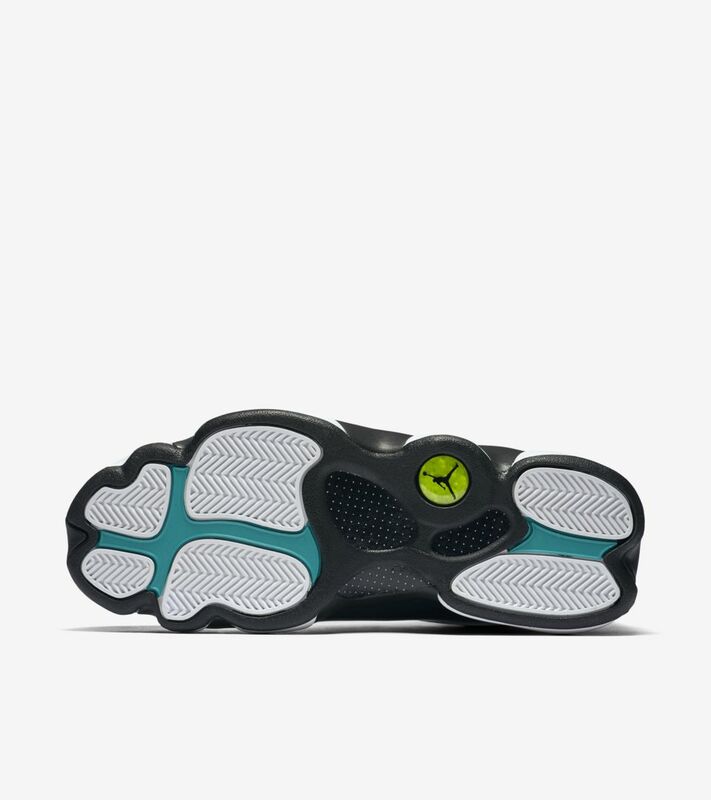 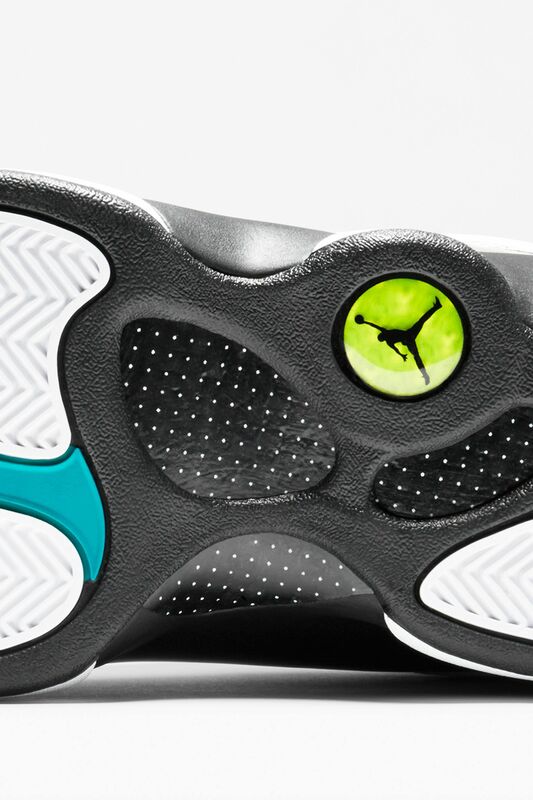 The Jumpman logo and outsole feature hits of Tropical Teal.